It’s been over 20 years since the last Ford Bronco rolled off the assembly line. After three decades in production, the Bronco may have ultimately killed by bad publicity. The OJ Simpson chase and ensuing trial created an unfortunate association between the popular SUV and one of the most televised crimes in modern history. It’s hard to say that OJ killed the Bronco, as sales of the SUV were already in a slump at the time, but it’s since stayed off the radar apart from a briefly teased concept design in 2004. But Ford has recently announced that the Bronco will be going back into production with a new model scheduled for release in 2020. Details are still scarce, but here’s everything you need to know about the 2020 Bronco. Ford’s approach to unveiling the new Bronco was unconventional. Rather than fully reveal the look of the new model, they opted instead to release a photo of the Bronco draped in a cover. What we can tell by the image is that it’s boxy. In other words, it looked like a Bronco, as the distinctly blocky shape instantly evoked the classic look of the iconic SUV. The only other hint we may have towards the exterior design came from an unusual source. The summer blockbuster Rampage starring Dwayne “The Rock” Johnson featured an unreleased version of the Bronco prominently. Combining a traditional boxy design with more angular edges, the teased SUV looked like what one might expect if the original vehicle had continued production into the 21st century. In actuality, the model used was the same concept car teased in 2004. So while it may give us some indication of what we might see in the 2020 model, we can certainly expect some changes to have been made in the intervening 15 years. A lot has changed in the decades since a Bronco was last released; and while Ford may be courting nostalgia with the new design, that doesn’t mean they’re regressive. 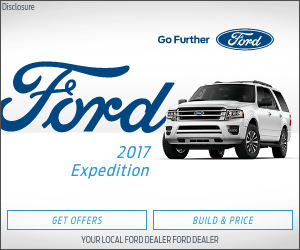 Ford has already announced that all their upcoming trucks and SUVs will be available in a hybrid version, and that includes the upcoming Bronco release. The Bronco once represented a rugged vision of frontier romance, and it doesn’t look like Ford intends on rebranding their vehicle for soccer moms anytime soon. Global markets chief Jim Farley stated in a press release, “Ford helped start the off-road phenomenon and has majored in off-road capability for decades–from the Bronco to the Raptor. Now, we’re ready to reclaim our rightful place as the off-road vehicle leader.” Jeep has long dominated the off-road vehicle market, but it appears that Ford is serious about jumping into the ring. The original Bronco fitted an SUV frame to a truck body, and Ford has announced that’s the same approach they’ll take with the new version. This new Bronco will be manufactured in Michigan alongside the Ranger pick-up truck, and both vehicles will utilize the same frame. A further report from Auto News indicates that the Bronco will make use of solid front and rear axles to further solidify its position as a top of the line off-road option.